They said it couldn’t be done, but Mark Kidd bags a first with a flight all round Gatwick. Read about this and more Epic Thursday flights in the Oct/Nov issue of S&G. There are top tips on how to find the best climbs, plus news from the recent Worlds. The cover has a vintage feel with one of the stunning photographs taken at this year’s VGC International Rally. Over the years, discussions on achieving a distance leg by flying around Gatwick’s Class D airspace have rejected the task as too difficult given height and airspace restrictions. 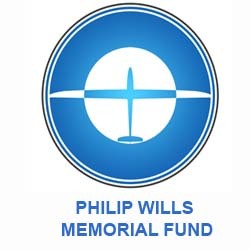 With ideal weather conditions on 21 June, Mark Kidd decided to give it a go and achieved an impressive flight of 300km all the way round Gatwick. Other Epic Thursday flights featuring in this issue include Sant Cervante’s 1,554km from Portmoak, flying for over 15 hours, and Craig Lowrie setting a new record with the first 800km flight from Parham. If you want to achieve more efficient and faster cross-country flights, don’t miss the latest Aim Higher Coaching article. Tony Cronshaw asks coach Kevin Atkinson about techniques for reading a cumulus sky to find stronger climbs. Team GB brought home a Silver in the 20m Class at the Czech Republic Worlds. Andy Davis was competing in the Open Class and tells us about his experience of the competition, while Graham Garnett provides a team captain’s perspective. There’s also a report from the Worlds in Poland from team captain Werner Stroud, plus Tim Fletcher’s view of competing in Ostrów. This year’s VGC International Rally was held in Stendal, Germany, amid tropical conditions. A Motor Spatz got airborne after a very long restoration, but extreme temperatures led to the engine overheating. At launch point, a mega-thermal tore the rudder off a Bergfalke, while a colossal thunderstorm blew the roof off the control tower! In spite of the weather, it was an excellent and enjoyable rally that saw Southdown GC’s Andrew Jarvis taking over the role of Vintage Glider Club President. 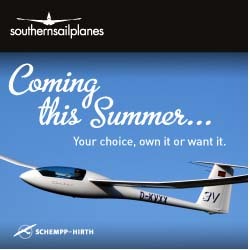 Also in this issue: Schleicher introduces the K-21B. Poland’s Sebastian Kawa asks if it’s time for the IGC to consider new competition rules. Daniel Weston reports on his first competition, taking part in the Saltby Open aerobatic comp. Joey Beard reflects on the trials and tribulations of bringing a flying epic to the silver screen. Cris Emson continues our series of landouts from heaven or hell. Simon Jones reflects on the joys of evening flying at Lasham. Ebenezer Grimshaw breaks taboos, dispels myths and restores reality for newbies. 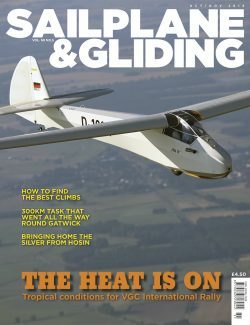 Alison Randle continue to explore the benefits of bite-sized gliding. Pete Stratten explains the next steps for the BGA and EASA rules. Dave Latimer explains how the BGA Executive works. Plus, many more of your stunning images in the Gallery pages. With some flights in the Ostrów Worlds being described as ‘Kawa Guided Tours’, Sebastian Kawa asks is it time for the IGC to consider new competition rules?